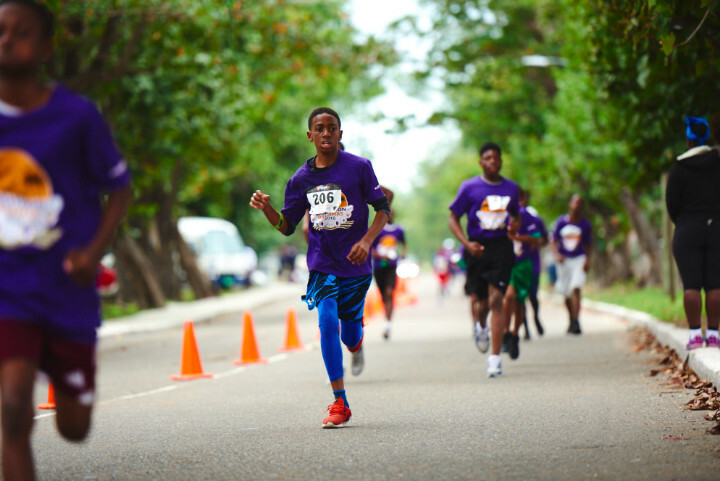 Nassau, Bahamas – A Marathon Bahamas program that allows middle school students to run their first marathon is back for a fourth year in a row. The Aliv sponsored, Orange Nation, will once again welcome junior participants for Marathon Bahamas’ 10th anniversary in January. Aliv is a platinum sponsor of the event. Aliv’s sponsorship allows students to register for free. Aliv is also donating two phones to the male and female student winners. The award-winning Marathon Bahamas, which is organized and sponsored by Sunshine Insurance (Agents & Brokers) Ltd., will be held January 20, 2019. Students Run Marathon Bahamas is a voluntary program. In addition to teaching students the importance of creating and fulfilling goals, this free program seeks to promote and create awareness of healthy lifestyles, with a key focus on physical education. Students Run Marathon Bahamas Coordinator, Denise Mortimer said she is excited about the program’s participation in Marathon Bahamas as students get to experience a sport she engages in. While the middle school age ranges from 11-13, Mortimer said the program would like to expand to students between the ages of 10-16. She also encouraged track clubs at various schools to sign up through their respective track organizations. “Middle school students are an ideal age group to start promoting exercise and long distance running. They are at the age where they are still developing and can take on more than the smaller kids. We want to introduce long distance running early. This creates a habit, which then conditions and helps their bodies adapt to this sort of training regime,” said Mortimer. Mortimer said she wants young people to see the value in being able to achieve something that many other children around the world are unable to due to various circumstances. Marathon Bahamas welcomes runners from around the globe and Runner’s World (UK) has named it as one of the Top 50 marathons outside the UK. Platinum sponsors include the Bahamas Ministry of Tourism, Atlantis, Focol, Aliv and BahamasLocal.com. To register for Orange Nation, email Denise Mortimer at denise-mortimer25@hotmail.com.